This story was published in partnership with Huffington Post, Reveal, Bakersfield.com and KQED. Update, Jan. 10, 2018, 4:42 p.m.: A federal judge with the U.S. District Court for the Northern District of California blocked President Trump’s phased-in termination of the Deferred Action for Childhood Arrivals program, DACA, pending the outcome of legal challenges. Judge William Alsup wrote that DACA recipients would suffer “irreparable harm” as they lose DACA protections. It’s unclear how federal officials will handle DACA renewal applications they rejected for failing to meet an Oct. 5 deadline. A Department of Justice statement said the department will defend the termination, calling DACA an “unlawful circumvention of Congress,” and a White House statement called on Congress to find a solution. PORTERVILLE, Calif. — Luis Galvan, 20, enjoyed a moment of triumph in late October when he boarded a plane for the first time and flew to Indianapolis to receive his Future Farmers of America degree, a prestigious certificate of achievement in the world of agriculture. 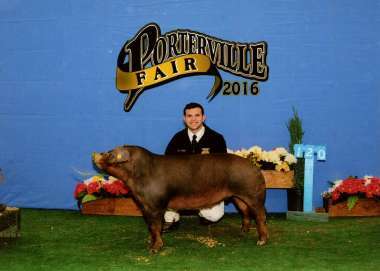 Galvan was proud that all his grueling work with livestock and crops had paid off. Undocumented DACA recipient Luis Galvan, now 20, is active in Future Farmers of America in Porterville, a California farm town in the congressional district of Republican Majority Leader Kevin McCarthy. But his euphoria was short-lived. When Galvan got home he tore open an envelope waiting for him from the Department of Homeland Security. It was crushing news: He had submitted his application to renew a vital work permit for young immigrants known as “Dreamers” in plenty of time, along with a renewal fee. He received a notice back that there was a snafu over a $495 scholarship check he had submitted to pay the fee, and he promptly followed instructions to correct that. But now, this second, final notice told him his application was rejected for being late. If Galvan can’t appeal the rejection, his work permit is set to expire Jan. 15. That would jeopardize his job tutoring junior high kids. It would affect his studies at college. It could even lead to him being deported. “What a bucket of cold water,” Galvan said, during a late-night interview in Porterville, the small California farm city where he grew up. 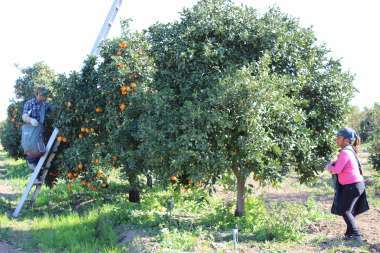 Surrounded by a sea of orchards—including oranges now flooding U.S. markets—Porterville sits in California’s vast Central Valley. Considered one of the world’s most productive agribusiness regions, the valley depends on immigrant labor. And among those who represent the region in Congress are multiple Republican lawmakers, not least of them Rep. Kevin McCarthy, the powerful GOP majority leader whose district includes Porterville. The work permit Galvan holds stems from his status as a recipient of DACA, the Deferred Action for Childhood Arrivals program whose fate rests, in no small part, in McCarthy’s hands. Former President Barack Obama created DACA in 2012 to allow undocumented young people brought to the United States as children to stay legally, conditionally, until, Obama said he hoped, Congress came up with a solution to help them. Nicknamed Dreamers, this population has no sure path to legal residency, no matter how long they’ve been here or how much they accomplish. DACA has temporarily protected them from deportation and allowed them to obtain work permits. On Sept. 5 though, President Donald Trump announced that he was pulling the plug on DACA, arguing in a statement that Obama lacked authority to create the program and that policy should be “fair to American families, students, taxpayers and jobseekers.” Spokeswoman Sarah Huckabee Sanders added that unemployed Americans could possibly assume DACA recipients’ jobs. 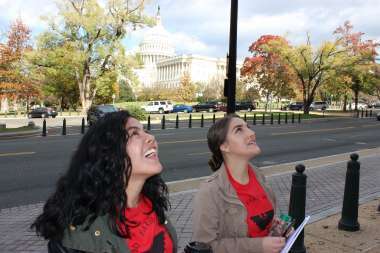 Leydy Rangel, 22, and Eloisa Torres, 18, undocumented DACA recipients from Bakersfield, Calif., work up enthusiasm before trying to speak to House members in Washington, D.C. about a proposal to let them earn permanent legal status. Nearly 800,000 DACA recipients were suddenly plunged into uncertainty. Dreamers whose work permits were soon to expire were given a chance to apply, one last time, for two-year renewals by Oct. 5. Many missed the tight deadline or had applications they say were denied unfairly. If nothing changes, after March, all DACA recipients will begin to lose permits in waves as each card expires. The situation remains up in the air. Despite his harsh rhetoric claiming Dreamers occupy Americans’ jobs, Trump too challenged Congress to come up with a legislative fix with “heart” to help Dreamers before the March deadline. A flurry of negotiations to pass such a bill collapsed just prior to the holiday break. GOP leaders now say Congress will take up DACA again this month, as part of broader debate over Trump’s demands for more border wall investments and cuts in family-based immigration. But the politics are complicated, and they’re especially complicated here in California, home to at least a quarter of Dreamers. Most polling, from ABC to Fox News, shows that 60 to upwards of 80 percent of Americans think Dreamers should get a chance to stay and become legalized. 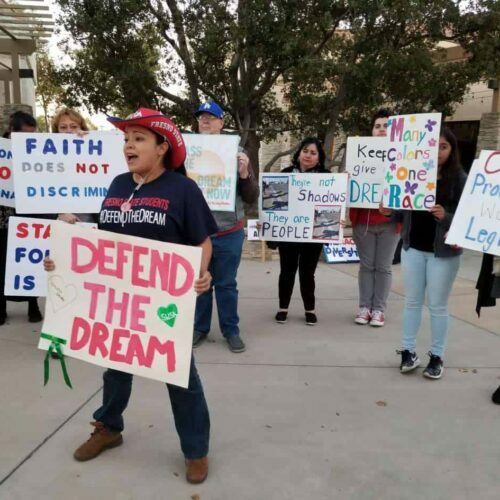 In and around Porterville, Dreamers and their backers angrily question why McCarthy and fellow congressmen from California’s Central Valley aren’t vigorously pushing for a legislative fix — pronto — because so many Dreamers’ lives hang in the balance. McCarthy declined an interview but in careful language has backed crafting a DACA fix as long as it’s coupled with more investments in border security measures. He said in a statement that he supported Trump’s position and that Congress is working on a “lawful solution to this problem.” It’s clear to everyone that McCarthy is not publicly leading a passionate charge to defend Dreamers. But the raw politics of both Washington and his district are hardly demanding that he do so — at least not right now. McCarthy won his last two elections with 75 percent and 69 percent of the vote. On the ground in McCarthy’s district, however, where Latinos are 41 percent of the total population and 27 percent of those eligible to vote, feelings can also get more than a little raw. The 52-year-old congressman, a lifelong Bakersfield resident, represents most of Tulare County, where Porterville is located, and the majority of California’s sprawling Kern County. Kern is peppered with oil rigs that produce more oil than Oklahoma. The county is also home to military-industrial-complex interests. Kern’s formidable agribusiness production, consisting of grapes, fruit trees, scores of other crops and milk, made it the number one farm county in the nation in 2016 at $7.19 billion in value. Tulare’s farm production value was $6.37 billion. California, as a whole, is by far the nation’s biggest dairy-producing state, while also producing almost half the nation’s fruits, nuts and vegetables. Those stats form the basis for part of the passion here. After all, advocates for Dreamers argue, California supplies a massive quantity of the food Americans consume. And agribusiness has acknowledged for a long time that immigrants, many of them undocumented and the parents of Dreamers, are essential to creating this bounty. There are no exact numbers, but McCarthy’s 23rd Congressional District is home to an estimated 7,900 young people who fit the profile of those eligible to have signed up for DACA, according to analysis of Census Bureau data by the University of Southern California. Adjacent GOP districts have as many or even more of these young people, who were eligible to sign up for DACA once they reached 16, if they had lived here since at least June 15, 2007. “I’ve complained to McCarthy’s office: What about the Dreamers? He needs to be doing more. Duran, a former correctional officer who’s active in local politics, said he’s generally pro-Trump and is strongly opposed to government “giveaways.” But he winces at some of the rhetoric around immigrants that’s voiced by the president and his supporters. Only Congress can change immigration law to open up a path that doesn’t exist now, a reality that runs contrary to misconceptions that there’s a line anyone wishing to immigrate can get into and just patiently wait a turn. A bipartisan bill introduced this past July, the Dream Act of 2017, would create a years-long path to permanent residency and citizenship for eligible young people who’ve been here at least four years prior to enactment of such legislation. But that bill did not advance. Versions of the Dream Act in Congress go back to 2001. Beyond the details, though, some DACA recipients here say they’d just like to hear McCarthy defend them more vigorously — and act with speed. As Republicans bore down on passing tax reform, GOP Senate Majority Leader Mitch McConnell of Kentucky told Fox News shortly before the holiday break that “we have plenty of time” to act on DACA to meet Trump’s March deadline. Even with nerves on edge, he’s got to attend classes at the local College of the Sequoias — in preparation for transfer to a four-year university — and report for as long as he can to his job tutoring 7th and 8th graders. The kids remind him of himself, when he was growing up poor but struggling to hold onto dreams. It’s been a long road. Galvan arrived from Mexico at five, and now he’s 20. As he was growing up, employers continued to hire people with little fear of getting penalized for “knowingly,” as the law says, hiring undocumented workers. Farm groups have long admitted that authentic-looking fake documents immigrants buy are part and parcel of how California’s factories in the fields stay open. Galvan’s dad has worked for the same agricultural employer for 15 years. At an early December pro-DACA rally in Porterville, population 60,000, agitated locals channeled their anger about the treatment of undocumented workers. Salmeron, 37, patted Galvan’s shoulder as he took the bullhorn at a rally in Veteran’s Park to tell the crowd about his dilemma. Salmeron, whose parents fled El Salvador during its civil war, is a naturalized U.S. citizen and grateful, she said, for the 1986 amnesty that Congress and President Ronald Reagan crafted that allowed her and her parents a chance to legalize and then go on to become citizens. Her family members live and have businesses in McCarthy’s district, in Bakersfield. “Kevin McCarthy is my representative and it upsets me that he won’t meet to talk about this,” added Daniel Peñaloza, 24, who runs an office in Porterville set up by the Coalition for Humane Immigrant Rights based in Los Angeles. Peñaloza has organized pro-DACA rallies not only outside McCarthy’s offices, but also at the offices of neighboring congressmen Rep. David Valadao, R-Hanford, of the 21st District, and Rep. Devin Nunes, R-Tulare, of the 22nd District. Valadao, the son of Portuguese immigrants, is a dairy farmer. He doesn’t have the clout that McCarthy wields, but he’s ventured where many other Republicans won’t go. He was one of three Republicans in the House who co-sponsored a failed 2013 comprehensive immigration reform package that would put undocumented workers on an earned path to legal status, a green card. Valadao is also one of two GOP congressmen from California who signed up to co-sponsor the Dream Act of 2017. The other co-sponsor is Rep. Jeff Denham, R-Turlock, whose 10th Congressional District also includes farm country to the north of Fresno. Both also signed a Dec. 5 letter with 32 other GOP legislators urging Speaker of the House Paul Ryan, R-Wisc., to put the Dream Act of 2017 on the floor for a vote. Ryan declined. According to the Pew Research Center, almost 76 percent of Valadao’s district is Latino, and more than 39 percent of the population eligible to vote is Latino — the highest percentage among California’s 14 Republican districts in the House. Democrats hold the rest of California’s 53 House seats. Despite his pro-immigrant record, Democrats consider Valadao vulnerable in the next election. Back in Washington, D.C., McCarthy’s communications director, Matt Sparks, addressed complaints that his boss seemed indifferent to Dreamers and would not meet with constituents unhappy that he isn’t publicly elevating their cause. Sparks said pro-DACA rallies have been disruptive at district offices, and interrupted other constituents’ business. He said field staff in California attend town meetings regularly, and listen respectfully to complaints aired in that setting. McCarthy had previously told CNBC that “I don’t think this country is going to move these individuals out.” In the same interview, he acknowledged, to a point, his district’s dependence on immigrant workers. “I come from an agricultural community and I know you need a guest-worker program,” he said. Sparks said DACA isn’t the only immigration-related issue that constituents bring up. Some district residents want to know about possible reforms Congress might initiate to broaden an existing guest-worker program for agriculture. Some want to talk about “chain migration,” a pejorative word coined by immigration-restriction activists to describe how immigrants, once citizens, can petition to sponsor certain relatives, including siblings and parents, to immigrate. Sparks also said that McCarthy’s office was open to learning more about Luis Galvan’s work permit snafu to see if staff could help. Workers harvest oranges in groves that fill the congressional district of Republican Majority Leader Kevin McCarthy of Bakersfield, Calif.
Grimmway Farms in Kern County is the world’s largest grower of carrots. Its owners, prominent local donors to McCarthy, declined to comment on DACA. She said the bureau maintains “open dialogue” with McCarthy but has no official position on DACA. “I don’t think anyone should penalize anyone because of something beyond their control,” she added. She also expressed sympathy for Luis Galvan when she heard his story: “I know there are many, many stories like this out there,” Sanders said. The Kern County Republican Party declined to comment on DACA. In Porterville, Republican activist Susan Queen, who is a “100 percent Trump fan,” said she doesn’t think the DACA recipients, or Dreamers, should be removed from the country, and she doesn’t think Trump does either. If the Dreamers are allowed to gain legal status, she said, perhaps they shouldn’t be allowed to bring in other family members later. 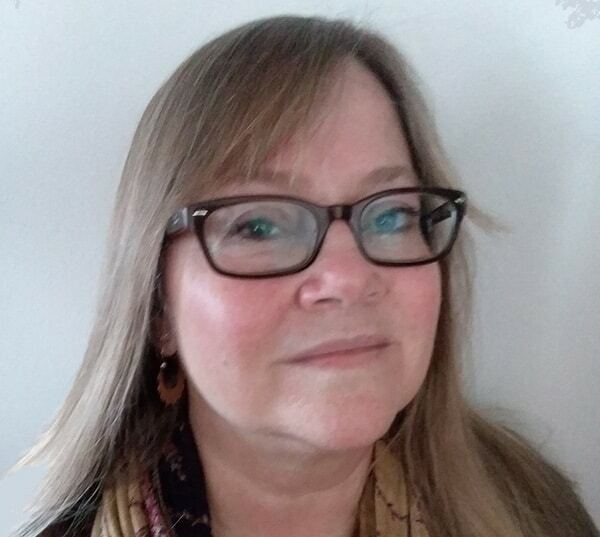 It makes her mad, she said, to think about an old friend in Germany who wanted to live and work in the United States and couldn’t seem to ever get a visa. Queen’s family raised animals and had groves she picked oranges from as a kid, but she’s not in the farm business and her children didn’t work in the fields. 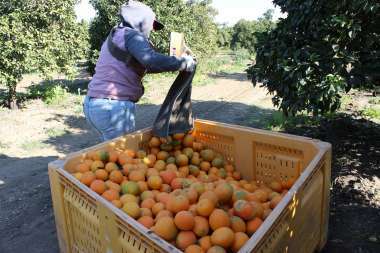 Workers earn $21 for each orange bin they fill in a grove that sits in Kern County, Calif.
Central Valley citrus grower Manuel Cunha, who is no liberal when it comes to business regulations he considers excessive, is a longtime proponent of legalizing undocumented farmworkers who have been here for years. The director of the Nisei Farmers League in Fresno, north of Bakersfield, he knows McCarthy well and has raised money for McCarthy and other prominent Republicans. “I’ve fundraised so much that we probably could have paid for immigration reform many times over,” he said. Still, he was in Washington, D.C., recently to visit with members of Congress and staff and talk about undocumented immigrant workers, DACA and the future. “How simple it would be to do a DACA reform,” Cunha said. “You’ve vetted all of them already.” The current crop of young DACA recipients have already been checked for criminal records, fingerprinted, and paid into getting work permits. “Come on, Kevin, let’s get it done,” Cunha said. Because of the uncertainty, kids have come into his office sobbing, he said, because they couldn’t renew their permits, or they’re terrified about what’s next. In Bakersfield, the characterization of their parents as lawbreakers, or invaders, upsets Dreamers Eloisa Torres, 18, and Leydy Rangel, 22. Both traveled to Washington, D.C, this fall twice on trips sponsored by the United Farm Workers union so they could tell their stories to staff and members of Congress who’d listen. She said her father was often away to accept work he was offered in construction, or in agricultural fields. She didn’t ask her parents for money to start college this year at California State University, Bakersfield. She collected cans to recycle to make initial payments, and was relieved when tuition fees dropped because of state aid. She’s thinking about becoming a lawyer. Rangel, who grew up migrating from the Coachella Valley up through Bakersfield and beyond, picked grapes and pruned vines in the state’s vast vineyards as a child. In high school she convinced her parents to leave her alone in Coachella so she could stay and finish high school there and apply to college. She recently graduated from California State Polytechnic University, Pomona. Every night, she worries about her parents getting deported. Undocumented DACA recipient Ivan Gonzalez, 22, an 800 meters state high school champion, attended the University of California, Berkeley. Another DACA recipient in Bakersfield, Ivan Gonzalez, now 22, managed to cap off his undocumented childhood by running his way to becoming the 800 meters state champion in high school. He won a full scholarship to the University of California at Berkeley. 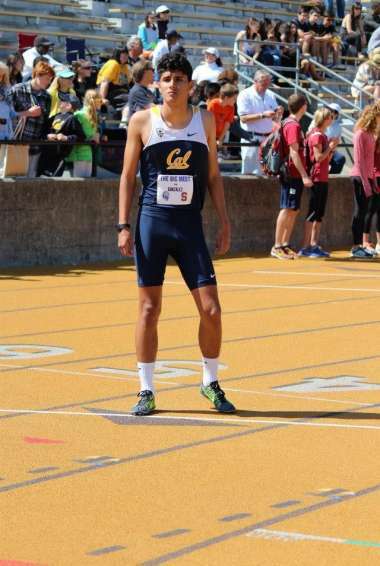 “People didn’t care about my citizenship status when I was running track,” said Gonzalez, whose choice to attend Berkeley was featured in local news. He’s back in Bakersfield after graduation and is working at Youth 2 Leaders Education Foundation. He counsels parents and kids on available options for college scholarships. California legislators, over the years, have gradually passed legislation to first allow undocumented students to attend state colleges and pay in-state tuition rather than out-of-state fees. Later legislation was passed to allow students to receive state aid, not federal, to help pay for tuition. Private scholarships are out there as well. “There are people who think we don’t belong here while eating what my people are picking,” he said. He tells families to keep kids in school, no matter what happens to DACA. Ironically, Gonzalez also participates in citizenship workshops to help immigrants with legal permanent residency prepare for testing. “You don’t know how much I wish I were in your position,” he jokes with aspiring citizens he helps. For Luis Galvan, there’s no time to waste. He’s in a race to avoid having his DACA work permit expire. He’s talked to a lawyer, and to Mission Asset Fund, a nonprofit group in San Francisco that provided him the scholarship to pay his renewal fee. Tara Robinson, the fund’s chief development officer, said the fund issued more than 5,000 checks to DACA recipients and the majority were cashed by Homeland Security. A small number weren’t accepted, which Robinson said could have been due to a Homeland Security error. When Galvan received word from the department to resubmit his application and a new payment, he bought a money order and Mission Asset Fund later reimbursed him. Then the rejection notice arrived.